My six-year-old daughter’s behavior has been off the rails lately. Emotions too big for someone her size. An attitude and tone of voice too ugly for someone so beautiful. I used to be soft in the discipline department once upon a time, and this has allowed weeds to grow that now need to be pulled. One day I wised up, and became like Denzel Washington in Remember The Titans when he took over the team. Discipline is good and necessary, but discipline alone tends to focus only on changing external behavior. Obedience gets the job done, but the heart deals with how the job is done. One of the goals we have as parents is to change the wrong beliefs our children have in their hearts. These beliefs create tension in family and sibling relationships. It’s amazing how many areas of a child’s thinking can be corrected by looking at God’s Word. Kids may learn and become inspired by reading other books or hearing a story on tv or on the Internet, but the Bible has the unusual power to change the human heart. Kids learn valuable lessons about daily life and how to treat others when we share the Scriptures with them. They take root in a child’s heart, equipping the conscience and guiding a child’s internal motivations. Presenting a solution for their problems from God’s Word gives children a vision for something better. But knowing exactly which scriptures to use in various situations can be challenging. And let’s face it; there are A LOT of different scenarios where our kids need guidance and correction. It’s kind of like playing Whack A Mole- once you’ve addressed one problem, another one pops up right behind it! We need to remember though, that behaviors ultimately come from what’s lurking inside the heart. 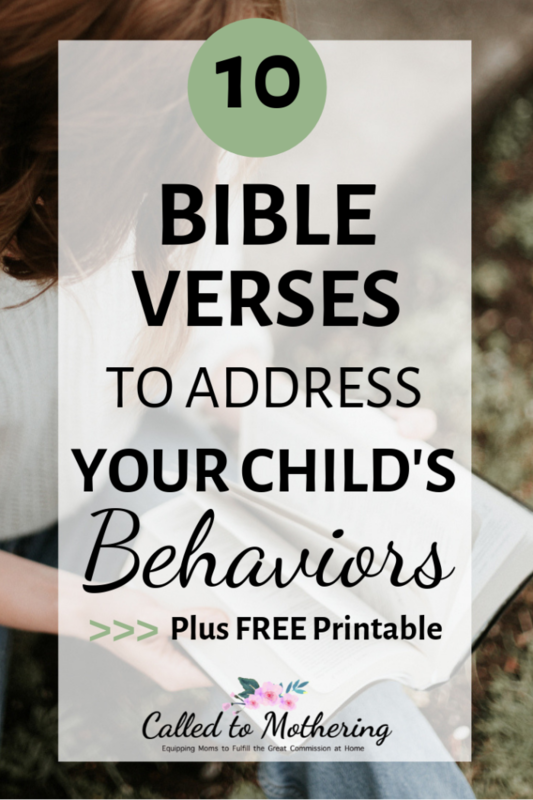 Here are 10 Scriptures you can reference easily when dealing with your kids’ behaviors, along with the heart issues behind them. Your child insists on being first and doesn’t like to wait his turn. He doesn’t understand honor, which is treating others as special and doing more than what’s expected. You catch your daughter in several lies when you ask her if she accomplished certain tasks and then discover later that she never did them. Dishonesty can be easier than putting forth effort, and usually happens when your kids are under pressure- to get out of trouble, to get something when the answer is no, or to be liked by others. Your kids give you a hard time about even the smallest requests, or when they’re asked to do something they don’t enjoy. Like lying, complaining comes from not understanding how to work hard. Your child may believe that the primary goal in life is fun and entertainment. Complaining also comes from not being able to handle disappointment. If your son constantly plays the lawyer and points out that you failed to specify certain parameters in your original instructions, he is not obeying out of love. We want our children to keep God’s commandments and love Him. Your daughter speaks unkindly to her siblings and is inconsiderate of others. She could be acting out of hurt feelings or jealousy. Your son displays a poor attitude when losing or responds badly when you discipline him. He doesn’t know how to communicate his emotions and believes the lie that he isn’t good enough. Your child holds grudges and is easily offended. He may not understand the depth or extent to which he has been forgiven, and the meaning of grace. Your child blames others for her actions and feelings, or justifies offenses. She won’t admit that she’s at fault, because she isn’t equipped to handle guilt. She also mistakenly believes that if she needs to be corrected, it means she is stupid. Your kids only do a job part way. They value their activity and agenda more than an uncomfortable task, and don’t grasp the responsibility to always do more than what’s expected. 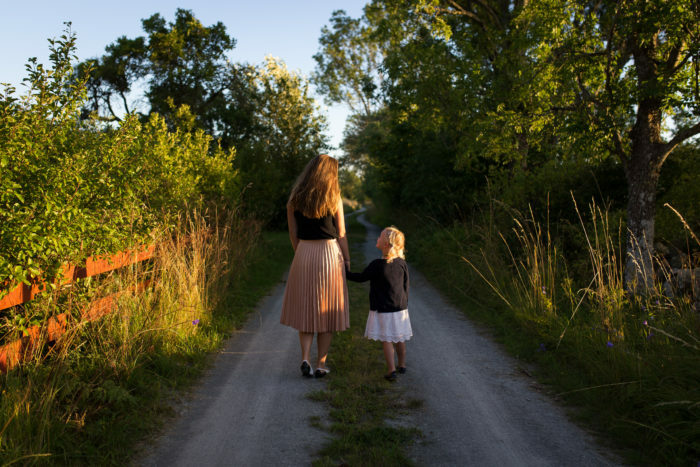 Your daughter always wants to be the first or best and competes in ways that lead to conflict. She measures her worth by comparing herself to others and doesn’t see the value of serving. Grab your free printable guide here. Keep it in your Bible so that you can access it quickly! wow, it’s like you read my mind. I was just thinking that I need a verse to match the behavior… we are going to start writing them out with my 3rd grader. Thanks for the printable to make it easy to apply! I have a 14 yr old daughter and a 5 yr old son. Lately they both have been exhibiting negative behavior and character which has left me feeling like a failure at parenting. Your post has strengthen my faith and given me hope. Thank you!!! Teaching our children that the Bible applies to our everyday situations is so vital. This is a helpful resource! !